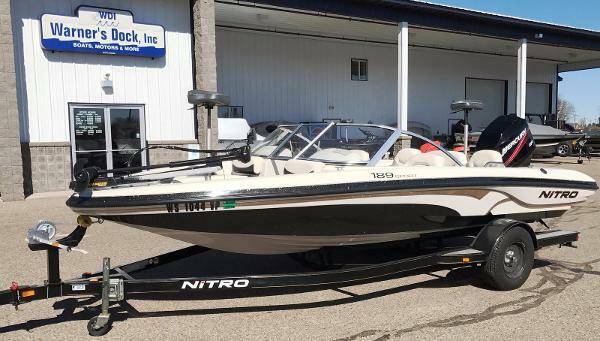 2006 Nitro 189 Sport The NITRO 189 Sport packs it all into a compact, stable 194 package. 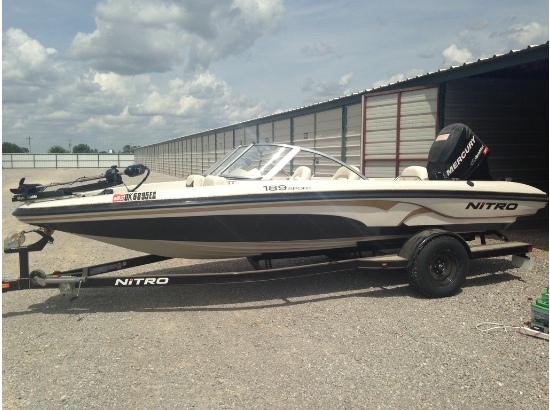 The sleek NITRO look and fishing heritage come through for anglers, while other family members get their way as well. Theyll find seating for five, AM/FM/CD, aft cooler/storage, ski tow pylon, extended swim platforms and boarding ladder. Theres even convenient aft-deck ski and rod storage. 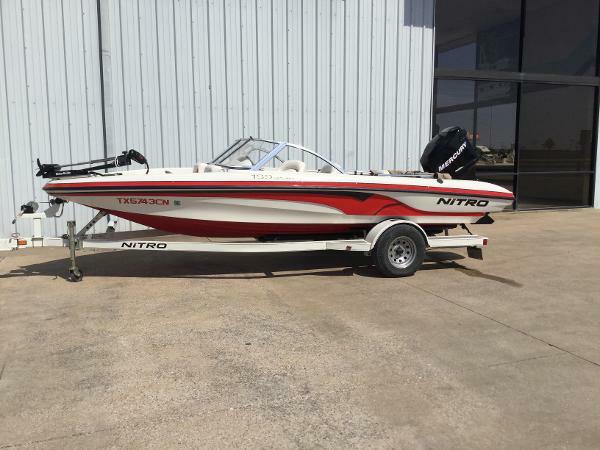 The standard package features Mercury power (from 115 to 150 HP), stainless prop, Lowrance 3500 digital depth finder, stowable 12-volt MotorGuide trolling motor, two movable fishing chairs, aft aerated livewell with timer, plus a NITRO color-coordinated trailer with GalvaShield protection, EZ lube hubs and swing-away tongue. 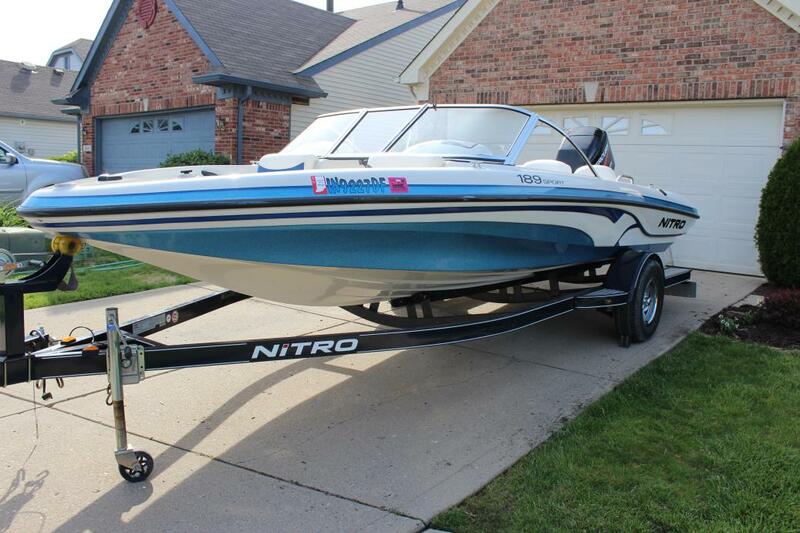 2005 Nitro 189 Sport IN STOCK 2005 Nitro 189 Sport Trailer is included! 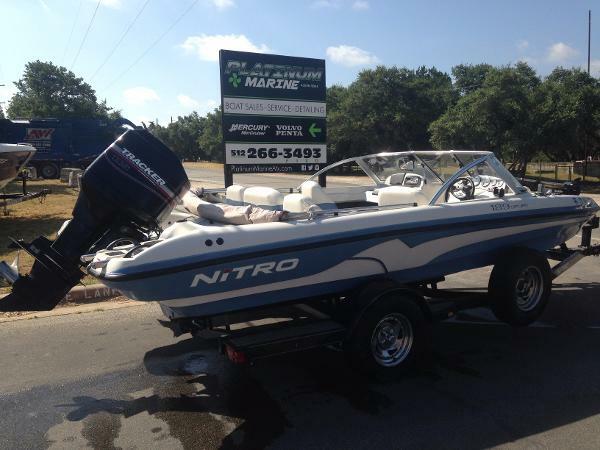 The NITRO 189 Sport packs it all into a compact, stable 19?4? package. 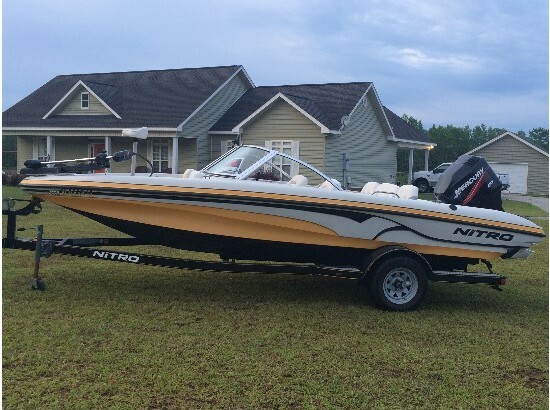 The sleek NITRO look and fishing heritage come through for anglers, while other family members get their way as well. They?ll find seating for five, AM/FM/CD, aft cooler/storage, ski tow pylon, extended swim platforms and boarding ladder. There?s even convenient aft-deck ski and rod storage. 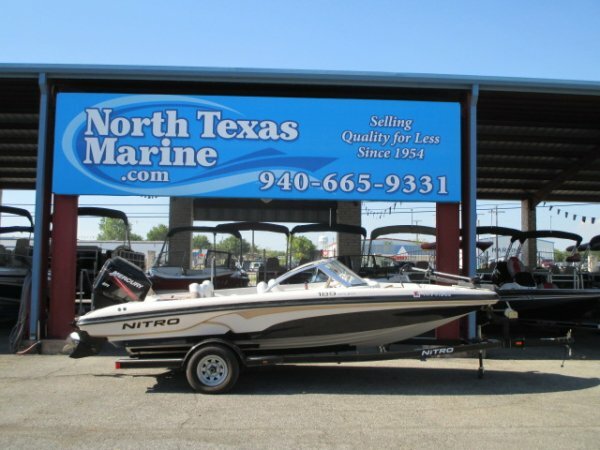 The standard package features Mercury power (from 115 to 150 HP), stainless prop, Lowrance 3500 digital depth finder, stowable 12-volt MotorGuide trolling motor, two movable fishing chairs, aft aerated livewell with timer, plus a NITRO color-coordinated trailer with GalvaShield protection, EZ lube hubs and swing-away tongue. 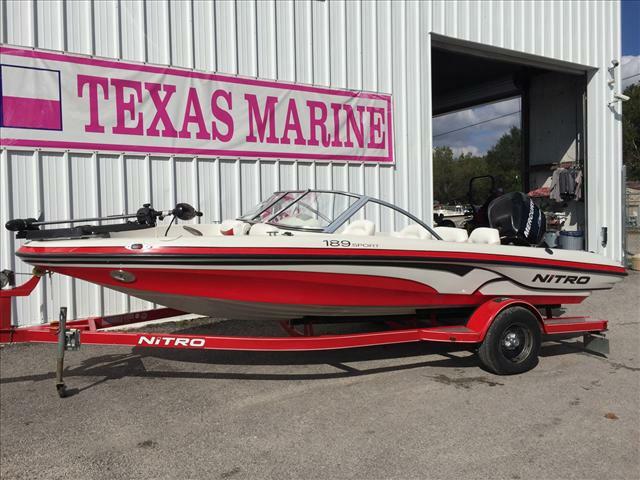 2005 Nitro 189 This very nice Nitro 189 sport offers a ton of versatility at a great price!! 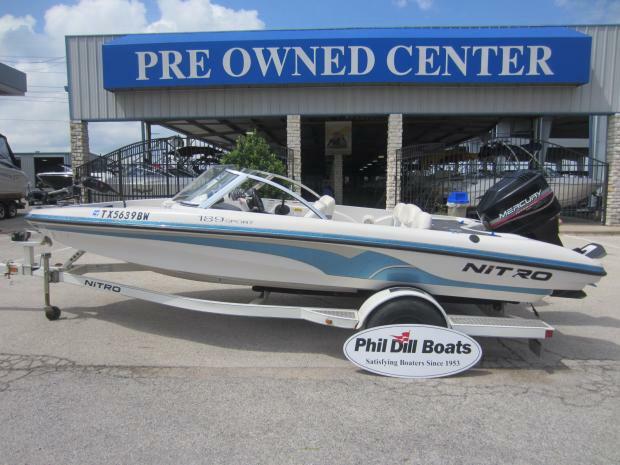 A fantastic boat for a family that wants to fish and play together. The roomy layout and great hull design allows this boat to deliver on both fronts. Reliable and efficient mercury power promises worry free and inexpensive fun for years to come. 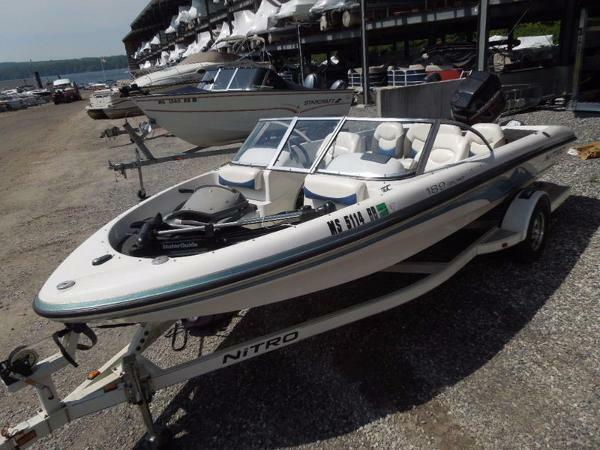 2005 Nitro 189 Sport with Mercury 150 XR6 outboard, trolling motor, fish finder, live well, ski storage, single axle trailer. 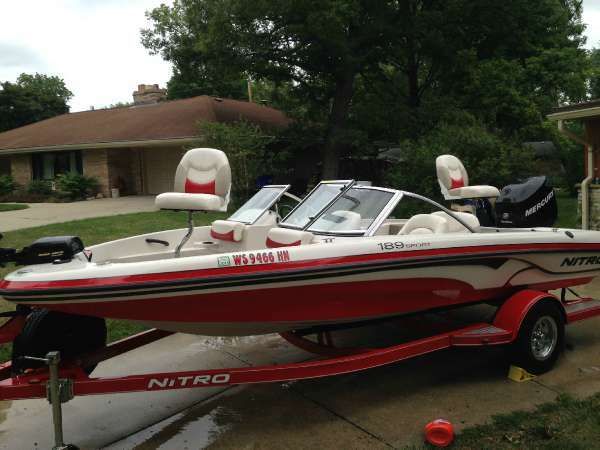 2010 Nitro 189 Sport, Brand new. Selling for a friend. Boat has less than 6 hours on it. 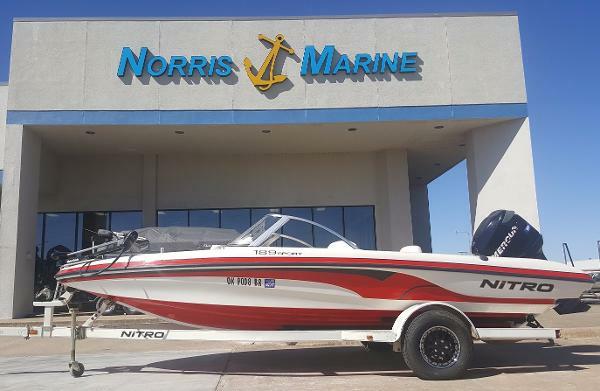 Purchased in 2011 off showroom floor at Norris Marine. Boat has sat in a locked and covered storage stall the majority of its life. Recently replaced the tires. 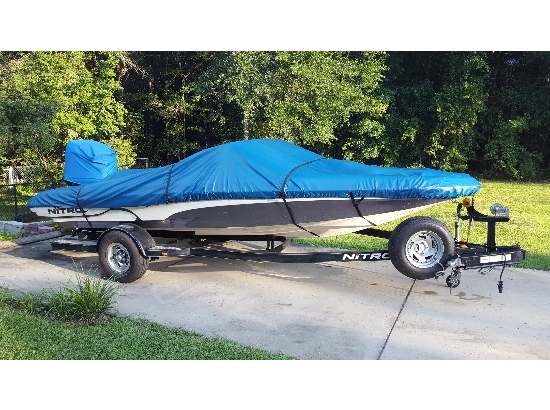 Boat has a 2 stroke 150XL Merc and single axle trailer with folding tongue. 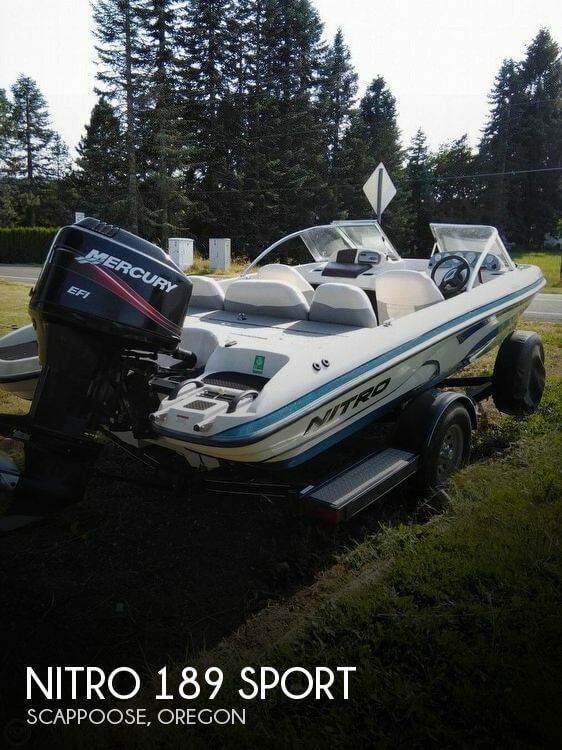 Email for appointments to see the boat on the weekends. Email to: OKCnitro189s@att.net.Have title and all manuals. 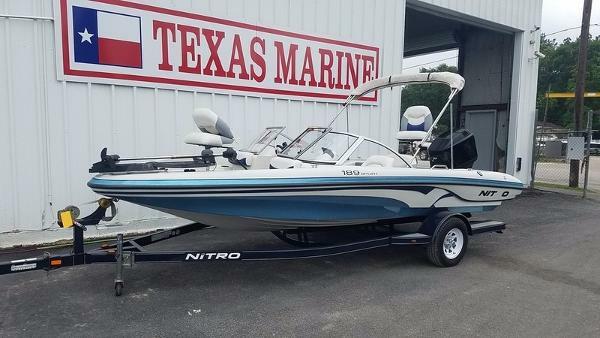 Includes high end fishfinder, depth finder at console, Bimini top, 2 jugs of new oil, life jackets, inflatable toys, ropes and anchor. Last tagged in 2013. $16000. Will bring tags current with solid offer.